I discover one product that really catch my attention. 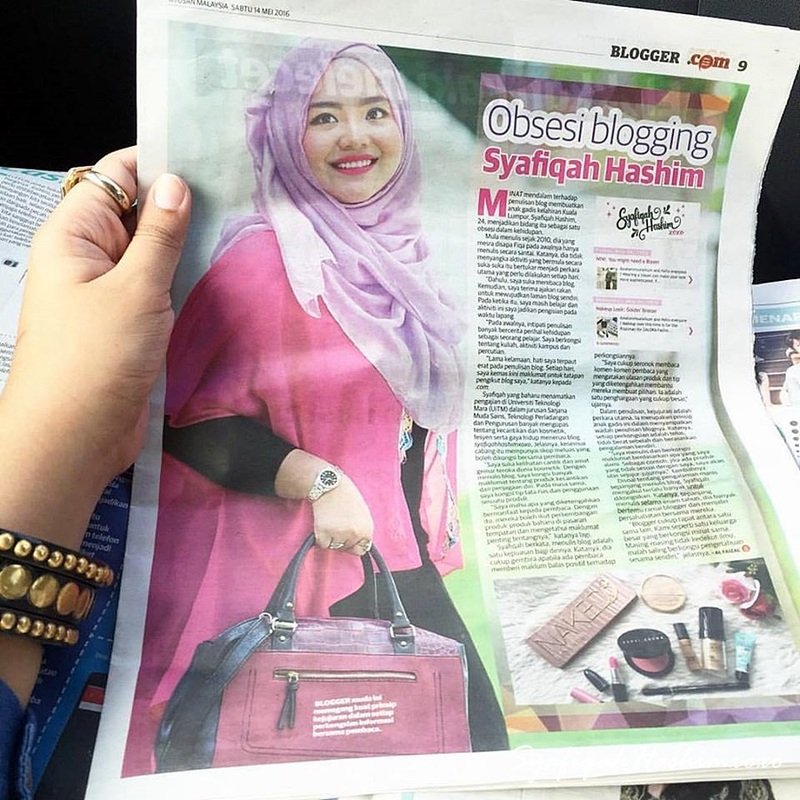 Thank you to HERMO Malaysia for keep advertise this on so many social media. Hehehee.. One click change my life gittew. 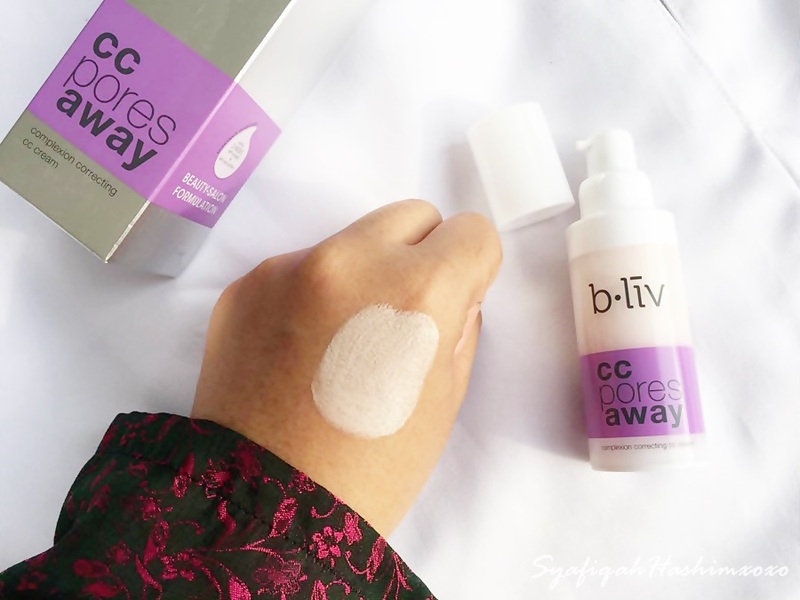 The product that I mention about is B.liv CC Pore Away. This brand is from Singapore and I've heard about this brand before but never try any of their product and this is my first. Guess what? I like it! Hehee.. I received the parcel once I arrived from my short vacation to Johor Bharu recently. As usual, always excited to open the package. Heeee.. This is how the packaging looks like. Come in transparent plastic bottles with pumps. Travel friendly I guess since it is light-weight and not-to-bulky in size. B.live CC Pore Away cream is suitable for all skin type especially for those who looking for complexion correcting, skin protecting and pores tightening. Main active ingedients in this CC Cream is Brwon Algae, Marula Oil, Red Algae, Vitamin C, Vitamin B3 and Vitamin E. It is Paraben-free, Alcohol free, Synthetic fragrance free and Mineral Oil free! Walahhhh. 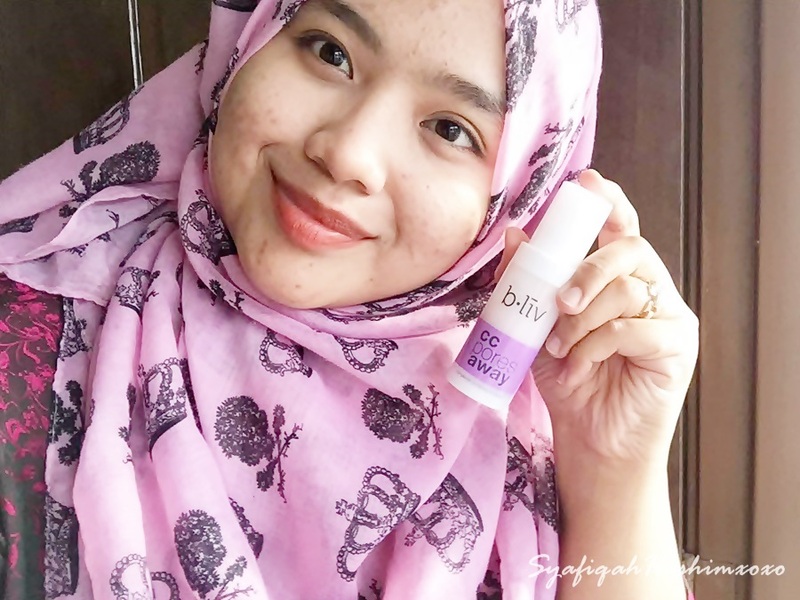 great reason why you should choose B.liv CC Pore Away cream as your daily based. 1-2 pump is good enough for whole face coverage. I like when product using pump because it won't get infected by bacteria easily. means that the product are more sanitized and safe to be used. .
On the first blending, It will form a white cream formation. When you blend it well it will mimic your original skin tones and more to lighten skin. Apply evenly to entire face and blend with fingertips. This CC cream coverage from light to medium great enough for daily. My skin easy to get breakouts lately. Previously, when I was so stress to finish my works and assignments my skin breakouts by the time it want to heal, it get breakouts again after my short vacation to Johor Bharu recently. SOBSS! I hope my skin getting better soon. T___T. 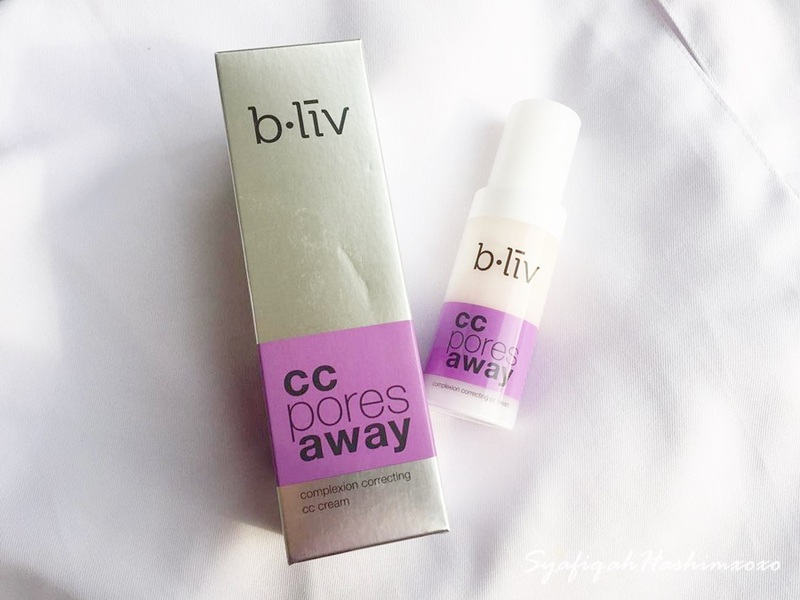 So, after the short vacation, I try this B.liv CC Pore Away and I find it quite suitable for my skin. It does not cause any irritation on my face. 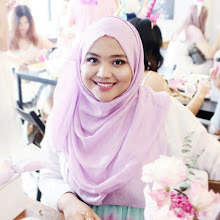 I do find my pores kinda invisible yet this CC cream give more coverage to my skin. I like the formulation and texture of this cream where it do not feel oily when using it and I find that the finishing of this product is more likely powdery-feels. Am I the only one feels like that or it is suppose to feel like that. Hahahaa.. I'm not sure but I just described based on my personal opinion. Correct me if I'm wrong tho- Hahahaa.. I just tried this product for less then a week now so far I'm loving it. I hope this product will give a better impact to my skin because I really need it. NGEE! Here some good new for my beloved readers. You will get this for RM46.70 and save RM28.30 HERE. Special for you so you can purchase this much cheaper and try this awesome product yourself. WAHHH! Don't miss this opportunity! This will be held starting from 1st December until 29th December 2015. HERMO will have a lots of promotions, discounts, lucky draw and surprises and let's have some fun with HERMO. Check out more about this HERE. WEEE~ HooHooHoo..